We promised our customers that we will be releasing FREE Divi layout when we can and this BMW layout is free for everyone. You are not allow to sell this on any marketplace. You can use it for your customers thought. These are the features being used in this layout. A few custom css codes on the Fullwidth Header Extended and All-in-One Extended module were used in this example. Make sure you check them and change those or remove them if you are going for other alignments. Thanks for this great layout!! Very nice! Got the layout…..all empty. Images are in medialibrary….but thats it. Do you mean you got empty module on the page builder? Do you have all 3 modules installed? If you do not have, it will be empty. This layout showcase of using 3 modules. Can you try downloading again? I just exporting the layout again. I tested it and it is working fine. Hmm. Weird. I was wondering if its the compression of the zip file that causes this. Most of the users can import to their divi. Could it be an old version of our custom modules that you’re using? I am getting an empty zip as well. In the ZIP is only one json file. After this I got an empty page. Weird, I was able to see all the modules on the page builder. When you mean empty page do you mean on Visual Builder? 1. Import the dwd-bwm-layout.json to the Divi library. 2. Create a new site and import the layout from the library. After this, I only have the sections and columns but no modules. Is the 3 custom modules installed? I found the modules… now it works. Thanks! Hi Philipp, where did you find the modules please? My theme is all blank as well but the images are in the media library. this came out blank, will this be fixed? I just updated the file above. I downloaded and unzip and I see dwd-bmw-layout.json in there. I went ahead and upload to my Divi Library and it is working well. Next, I import them to my page builder. can’t change the mountain road background picture in the header? Hello Jerker, changing of background is inside the Fullwidth Header Extended Content Tab. Since we have many features, scroll it slowly and carefully. You will find them. It’s called background image URL. Hi, actually, I can’t find it. I find two places to put in background, but those just create an layer on top, on to the left and one to the right. Took it nice an slowly, still can’t find. Kan ju provide me with an screenshot? Can you submit a ticket? I’m sure we are able to help you to locate the background image. 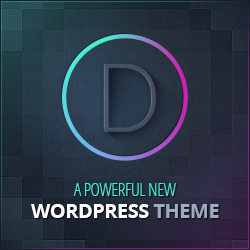 I uploaded into my divi theme. Now Im creating a page and Imported from library the theme but all i see is the modules. They are all blank… what do i do ? Do you have the installed custom modules? Or try clearing your browser cache after installing the custom modules. Fantastic work at all. I just dropped my eyes at demo site – excellent work. Make sure you have all the 3 products which stated above: This example make use of the Fullwidth Header Extended, Perky Animate(Used to be All-in-One extended) and Map Extended module. Unless you mean the visual builder which will not be shown up because 3rd party modules will not show up at the Visual Builder at the moment unless ElegantThemes does something about it. I also downloaded this layout, but it’s all empty. I just want to use it without the 3 extra plugins. Is there a way to use it without them?